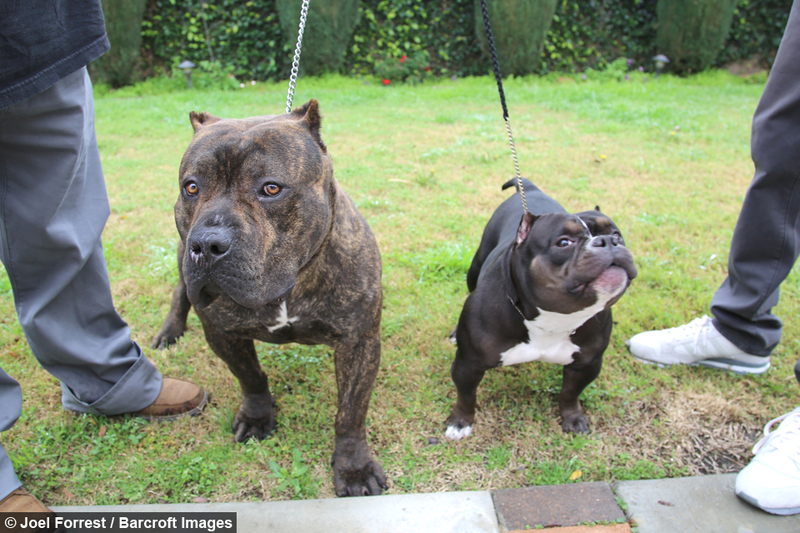 A new breed of “micro pit bulls” is rapidly becoming the must-have canine companion in the world of designer dogs. 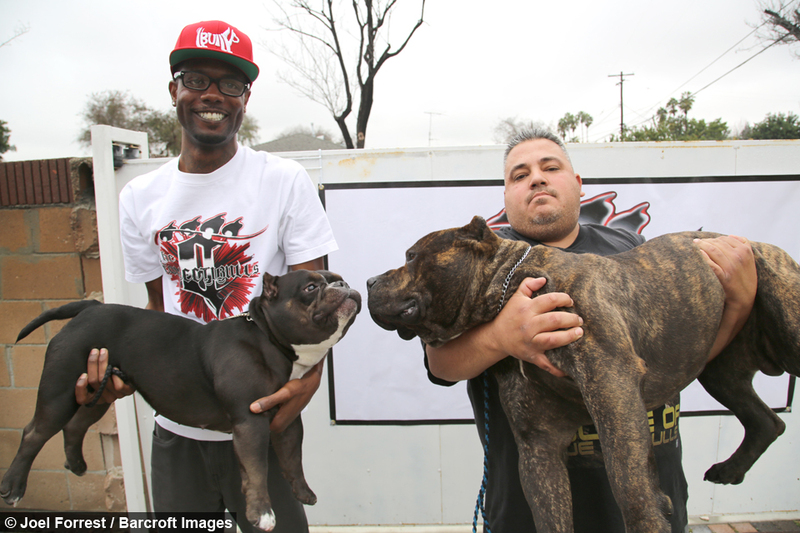 John Truitt, 30, from Long Beach in California, runs The Collectibulls, a company which breeds, trains, and sells ‘bullies’ to customers around the world, and is a leading advocate for the breed. 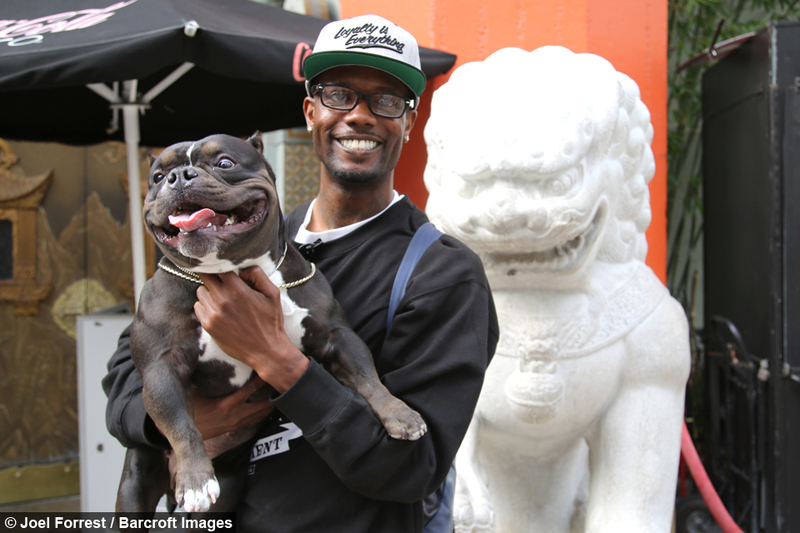 His signature dog is Queen Califia, a 12-inch-high “micro pitbull” who he values at over $50,000. "I got Queen Califia two years ago. 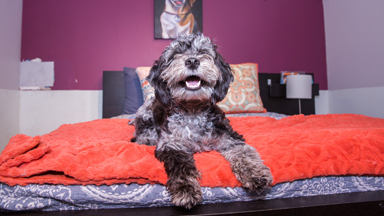 I acquired her from northern California and we have been best friends since then,” Truitt said. 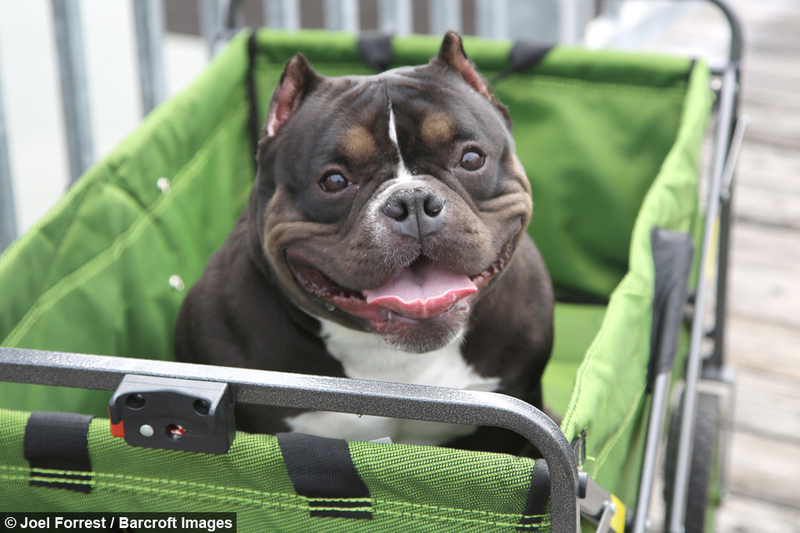 “She is one of the best representations of what a micro pit bull should look and function like." Queen Califia has been gathering a dedicated fanbase online, with owner John receiving some lavish offers for her. Regular pygmy pitbulls sell for anywhere from $10,000 to $20,000, with interest coming from as far afield as Italy, China and Australia. And with almost 10 years under his belt as a self-proclaimed ‘Bully Breed Ambassador', John is passionate about spreading the message of responsible dog ownership. 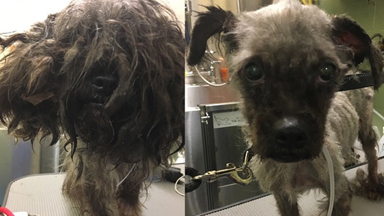 He said: "I think the breed is so expensive first and foremost because it is so fragile and people have never seen these dogs. “The number one thing about them is they are the ultimate family companions. 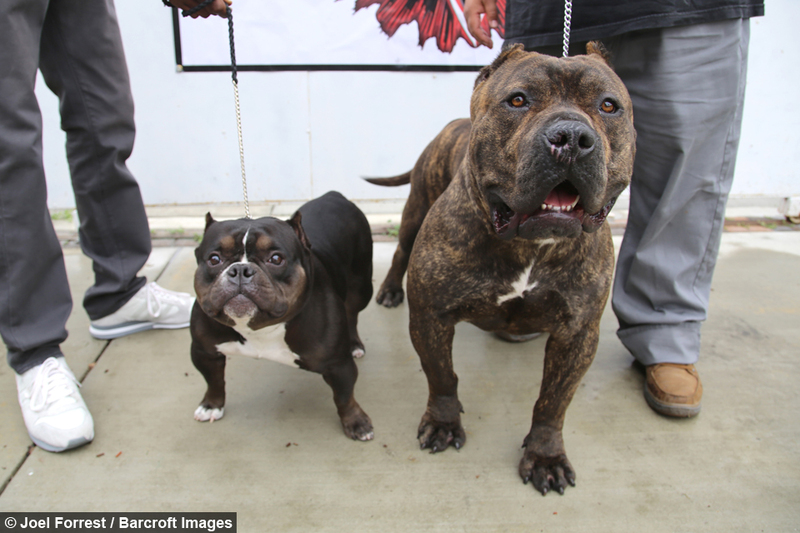 They have excellent temperaments and they break that negative stereotype that surrounds the American pit bull terrier." Micro pit bulls are around half the size of a full-sized pit bull - measuring anywhere from 9 to 12 inches, compared to the standard 19 to 21 inches. John added: "A micro pit bull pretty much is the same thing as a pit bull. It’s just on a smaller frame. It’s like a miniature pit bull. 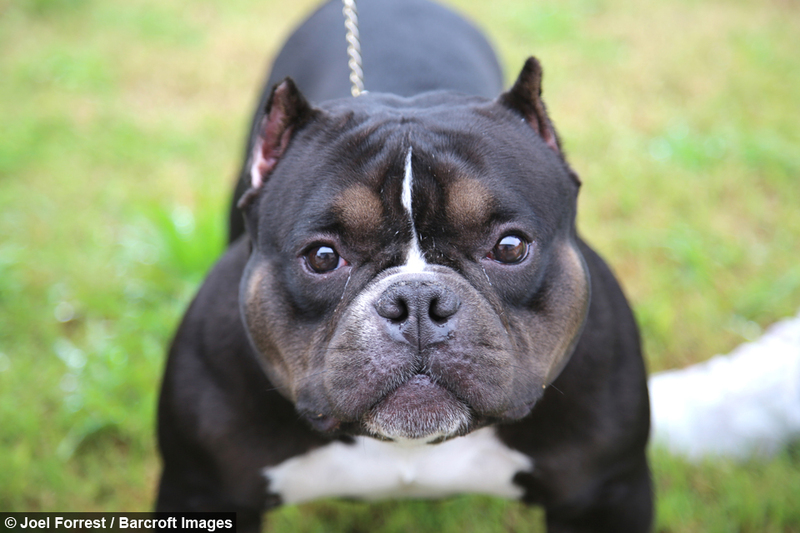 "One of the main key standards that defines this breed are their height. No micro pit bulls or bullies should be over 13 inches. The second thing that defines this breed is how extreme their build is. "I am talking about maximum chest width, a real bulky neck, a solid strong firm rear, nice tight straight feet." 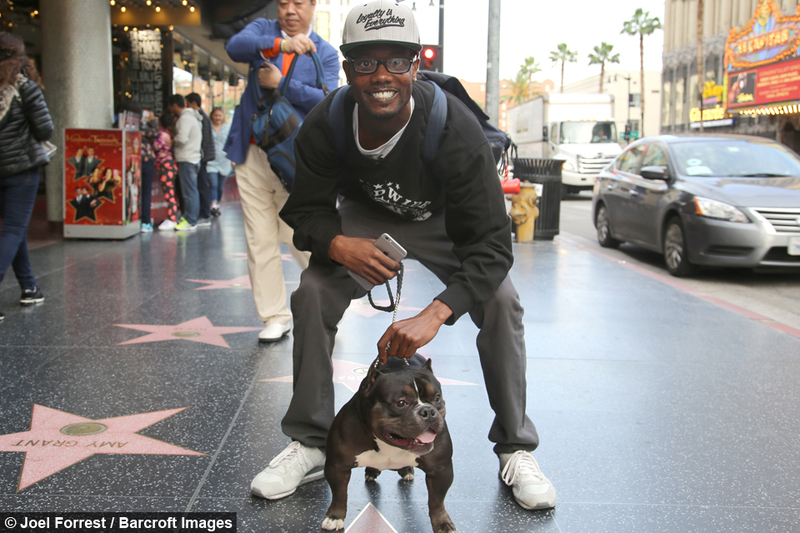 John recently took Queen Califia out in Los Angeles to walk the stars of the Hollywood Walk of Fame and pose by the Beverley Hills sign - with admirers flocking to pet the tiny dog. He said: “There’s a reason I call her the Queen - she is overly confident, she loves the attention." And while Queen Califia’s pups would sell for upwards of $20,000, John is still not yet sure whether he will find a stud for Queen Califia. He said: "A lot of people ask me will I be I breeding Queen Califia and honest, I am not 100 per cent sure. 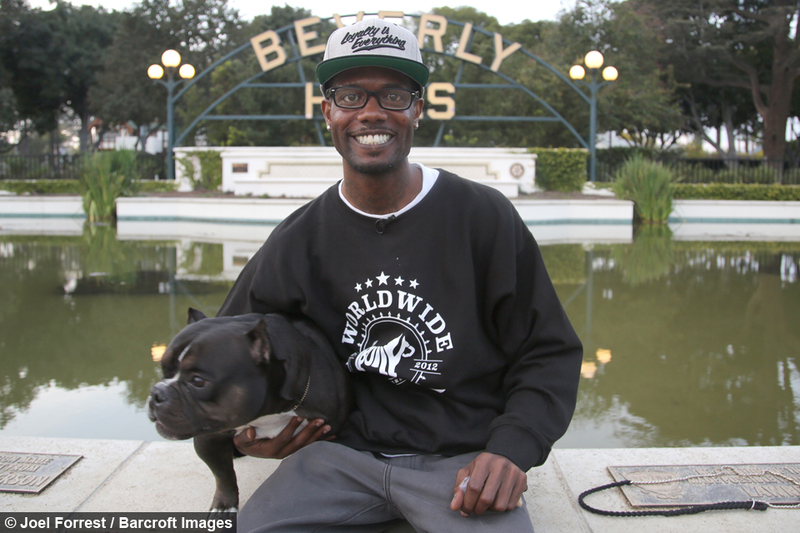 “Above all I plan on travelling around the world more, educating my supporters and the public on this breed of dog. I look forward to what the micro bullies have to offer for the future, for the world."